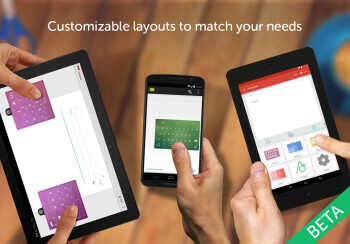 SwiftKey is currently working on a new update for Android users. The upcoming update is expected to come with one new feature and also support for more languages. As most of you already know, SwiftKey added GIF support and also new keyboard shortcut to it's app earlier in June this year, now the team is working on adding GIF search support in the next update. Already, support for seven new languages which are Amharic, Coptic, Dagbani, Kabyle, Neapolitan, Khoekhoe and Panglish is already available in the current SwiftKey beta version and this is expected to also rollout to the official app in the upcoming update. At the moment, there is no official date as to when the new update will be available on Google play store but it's expected to be released pretty soon.